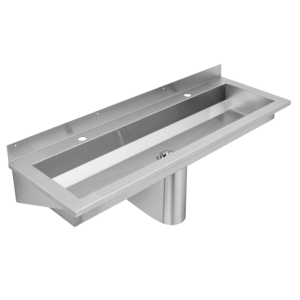 Stainless steel wash trough 600mm with tap deck, from the new Planox range by Franke. 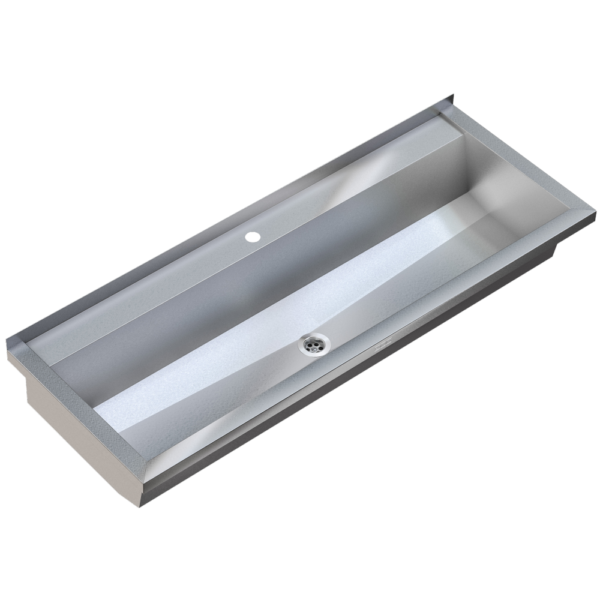 A seamless welded wash trough for wall mounting manufactured from 304 grade stainless steel with a satin finished surface. 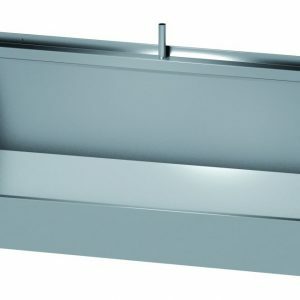 Material thickness of wash trough 0.8 mm / side panels 1.2 mm with side panels having integrated wall brackets. 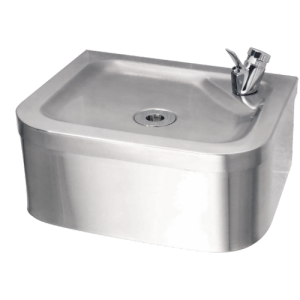 A lowered tap ledge 80 mm wide with one tap hole, no overflow, 40 mm rear upstand and central waste. 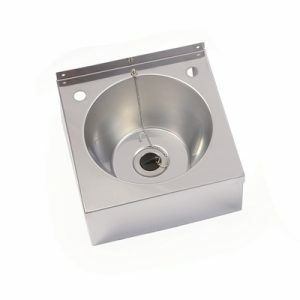 Supplied with 38mm dome waste and mounting fixings.